Posted on May 22, 2018 at 10:42 am. The Nottingham Shakespeare Festival was once again a resounding success. Nottingham fifth graders gave flawless performances of two of the bard’s classic romantic comedies, The Merry Wives of Windsor and A Midsummer Night’s Dream, much to the delight of the packed house. 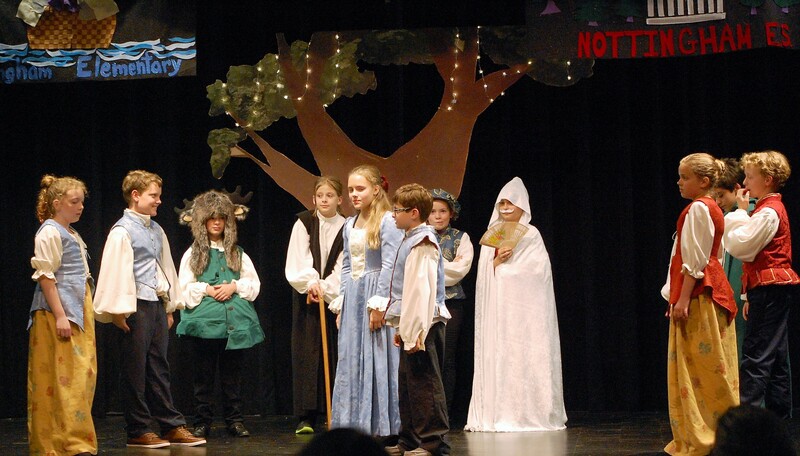 Talented actors skillfully rendered the interwoven plot lines in each story and kept the audience in stitches. The action however, was as much physical as it was verbal, with several characters involved in raucous tussles on stage ably demonstrating the actors ability to handle slapstick humor as well and making it vividly clear that love does indeed hurt. 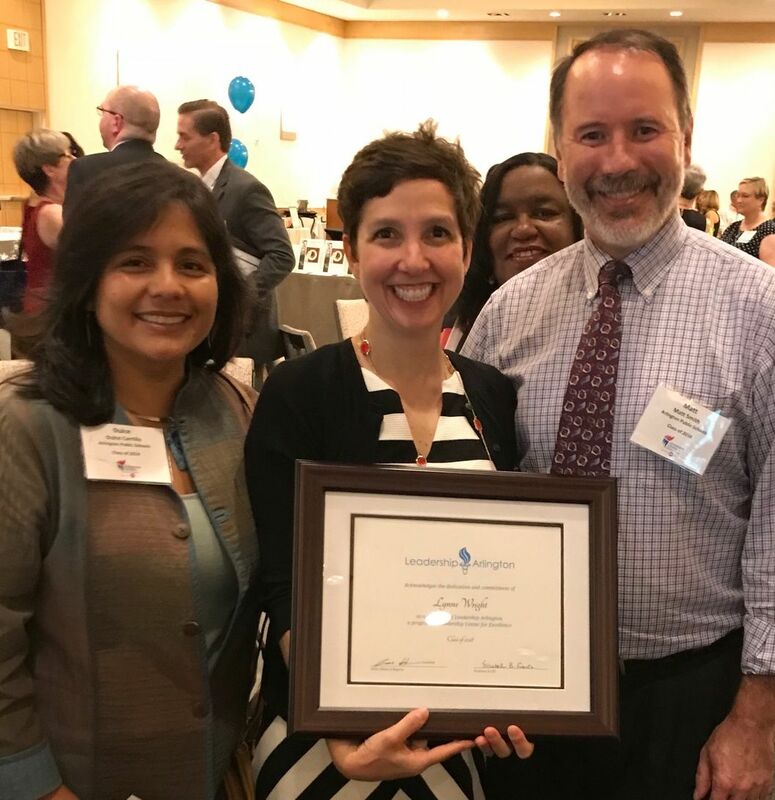 Oakridge Principal Dr. Lynne Wright recently celebrated graduation as part of the Leadership Arlington Class of 2018. The celebration took place on Wed, May 16 at the Westin Arlington Gateway. Wright was joined by communications coordinator for community engagement Dulce Carrillo (Class of 2014) and special projects coordinator Matt Smith (Class of 2016). Leadership Arlington is a nine-month program for established leaders, designed to strengthen and build community through an experiential issue-based and skill-building curriculum. Each class is comprised of approximately 50 leaders from the private, nonprofit and public sectors to ensure diverse perspectives and opportunities for personal and professional development. The Career Center hosted Virginia Secretary of Education Atif Qarni on May, 4. Besides taking him on a tour showcasing some of the amazing opportunities at the school, students from four programs (Academic Academy, HILT Institute, Arlington Tech and PEP) discussed with Qarni the significant benefits of their programs. Each student clearly communicated how their program positively changed their lives and offered them unique opportunities to prepare them for their future. It all started with a standards-based lesson on comparing the lengths of kite tails. Many children seemed bewildered and Oakridge second grade teacher Belinda Folb immediately realized there might be an equity issue preventing students from learning and many had no experience with kites. Folb and her students immediately got to work researching and building a class kite. It did not fly. The kite did, however, spark tremendous interest. The students wanted to figure out what went wrong. They wanted to rebuild more kites. Students revised their materials lists, calculated how much string, ribbon, and tape they would need. They switched out the original tree branch sticks for wooden dowels and estimated the number of plastic table clothes were needed if they divided each cloth into quarters. All this enthusiastic group now needed was extra sets of hands to help. Enter 10 wonderful volunteer students from H-B Woodlawn and their H.I.V.E. (H-B Woodlawn Initiative Volunteer Engagement) facilitator, Jennifer Goen. Folb’s classroom was a flurry with activity. An hour later, the second grade students were flying kites alongside their new high school friends. 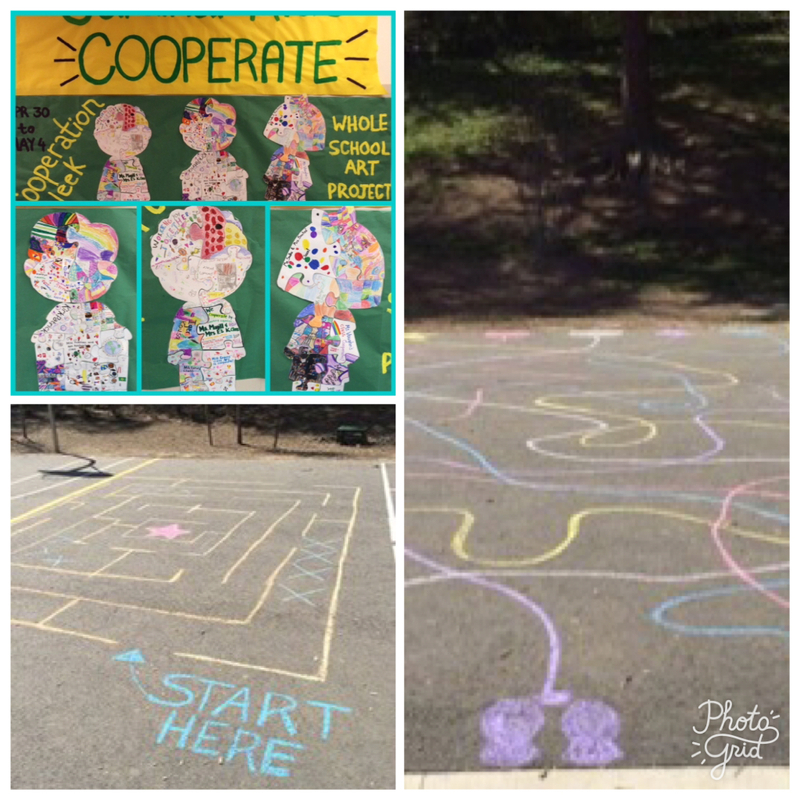 McKinley Cardinals participated in their third “Cardinal Rules” week, highlighting cooperation. Students focused on the character trait cooperation in all classrooms. At recess, cooperative activities such as the yoga ball pass, the human knot and partners leading blindfolded partners through mazes on the blacktop all provided opportunities for students to work cooperatively. Classrooms also decorated individual puzzle pieces to create a whole school mystery mural revealed on Friday. The spirited Abingdon first grade team of Nicole Jondahl, Tanyalee Buckingham, Kimberlee Gorecki, Toni Svonavec, and Sarah Tyson hosted “Muffins for Mom” the day after Mother’s Day. They welcomed mothers (and mother figures) into the classroom to get spoiled by their children. Students each expressed his/her appreciation for his/her mom through written word (e.g., poems, odes, narratives), art, and live performances. The Career and College Expo was held at the Career Center on May 3. This event brought business partners and college representatives from the greater community together to teach students about their programs and services. 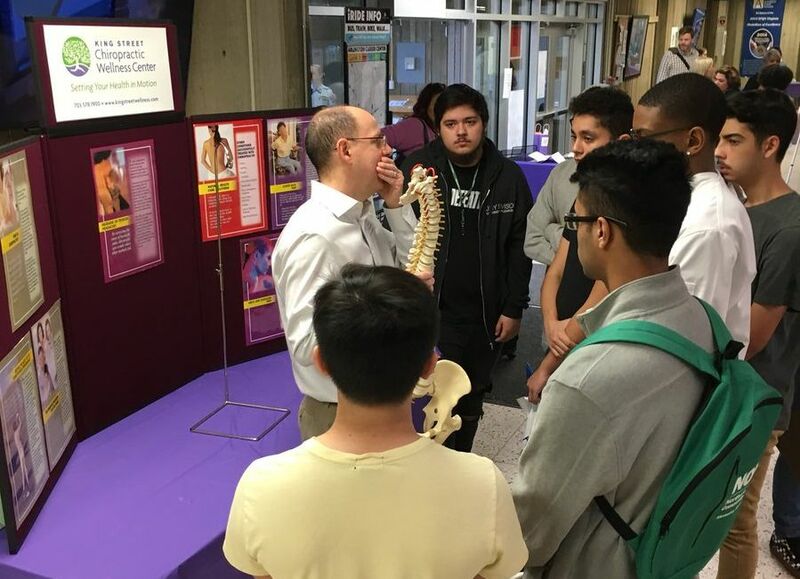 Students explored various careers from interviewing professionals from Arlington Fire and Police Department, Stantec, Friends of the National Zoo, Hyatt hotels, and many more. There were over 30 representatives. Career Center students also learned about post-secondary learning opportunities from various colleges and universities. The Career and College Expo engaged students in future planning through this event. Everyone celebrated the Career Center’s mission to instill a passion for learning by doing. 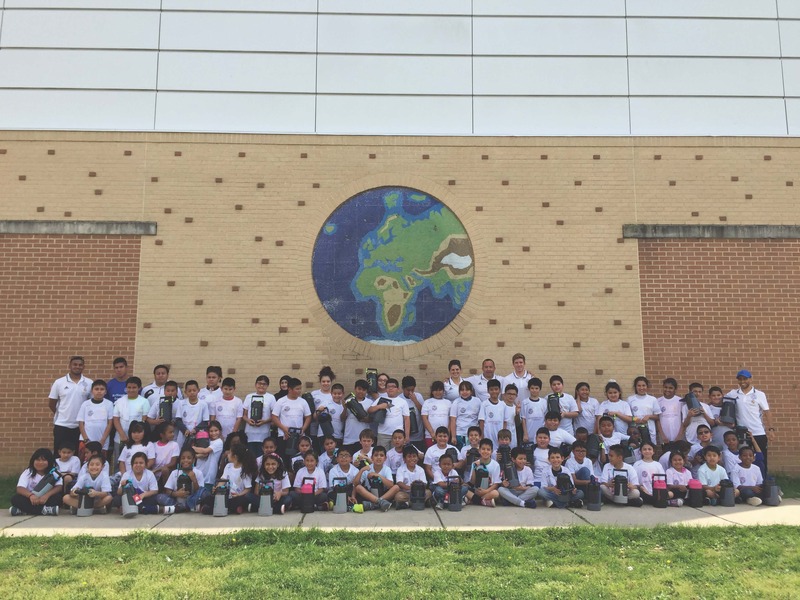 One or Carlin Springs long-term key partnerships is with Arlington Soccer Association and the Real Madrid Foundation. Students who are enrolled in tutoring after school on Mondays and Tuesdays are invited to participate in this unique soccer program on Thursdays and Fridays. 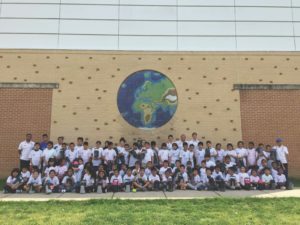 Students learn leadership skills, positive social skills, problem solving skills and get to be part of a team experience led by trained soccer coaches and mentors. This program runs for 10-weeks every Fall and Spring and through a communication system, classroom teachers and coaches communicate on a weekly basis about the student’s successes and challenges so they can collaborate to ensure each child’s success. Career Center Air Force Junior ROTC (AFJROTC) instructor Col. Mark Dierlam was named 2018 Overall AFJROTC Outstanding Instructors of the Year by the Department of the Air Force Air University (AETC). Those recognized represent the “Best of the Best” in the AFJROTC. Through this award, the AETC honors their exemplary contributions and impact on their cadets, school, and community. They represent the highest examples of the Air Force Core Values which are crucial to the success of the AFJROTC mission. Also in "May 25, 2018"